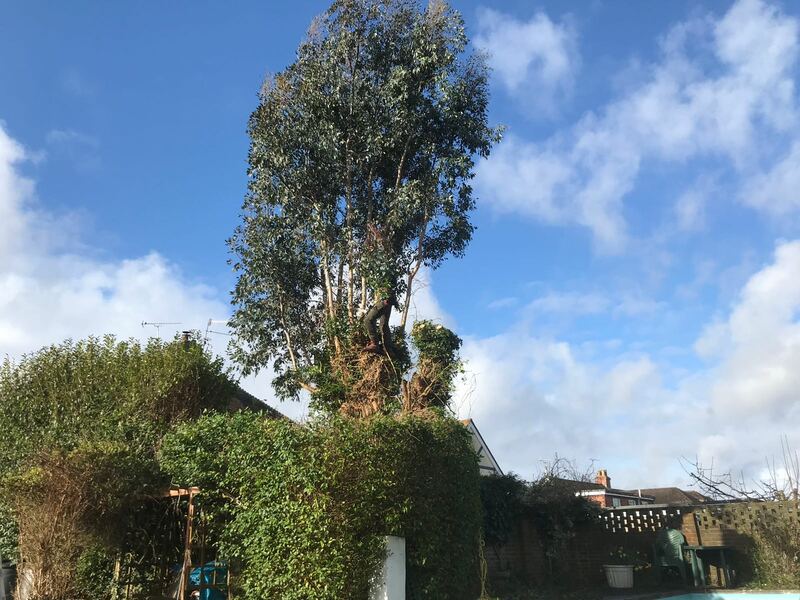 Whether its cutting back overgrown branches or removing an entire tree or group of trees, we will utilise all our qualifications and experience to make sure the job is safe and of a high quality. Removing stumps has a variety of benefits from stopping diseases & fungi setting in, to increasing safety to those around it. We can effectively remove the stump at a competitive price. 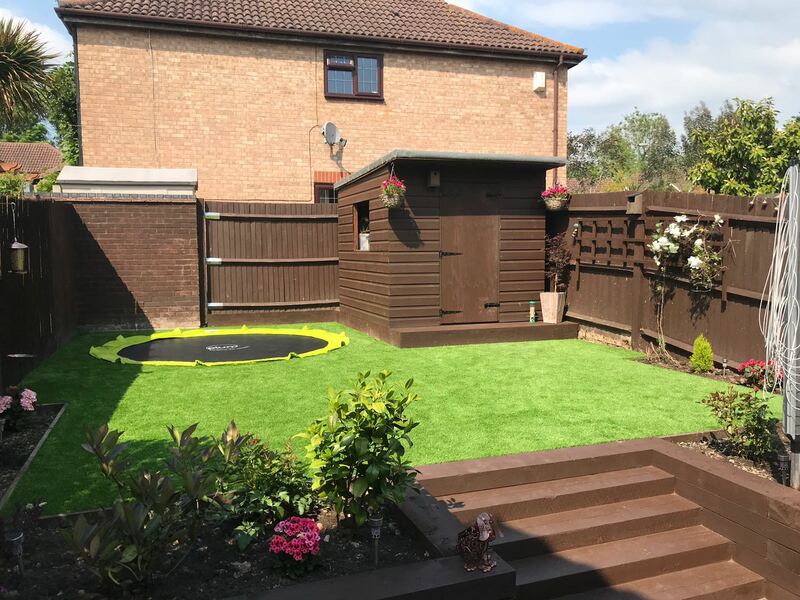 We cover everything from a brand new fence, to repairing an existing one. Using high quality materials to build a strong, durable fence that complements style and increases privacy. We provide effective and high quality hedge maintenance on a one-off, or ongoing basis for both domestic and business customers using the latest equipment to trim, shape and maintain hedges. 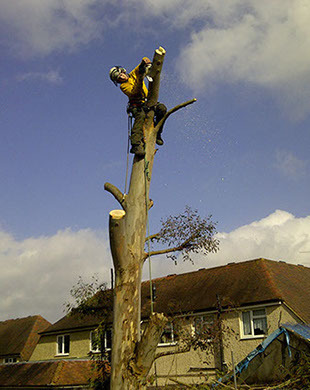 AG Tree Surgeons operate in Horsham and surrounding areas in West Sussex. We serve both personal and business customers, offering a wide variety of services that are delivered with professionalism and to a very high standard. 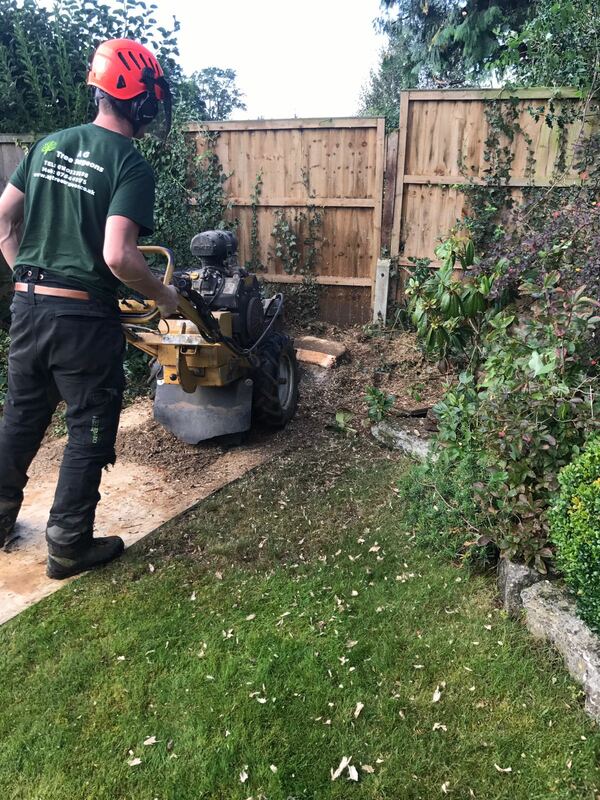 We are highly trained and experienced in a number of areas including tree cutting and felling, stump grinding and removal, hedge cutting and garden fencing. We work in strict accordance with the BS3998:2010 code of practice as devised by the Arboriculture Association. As a result, we follow best practices, techniques and legislation for all of our tree work. 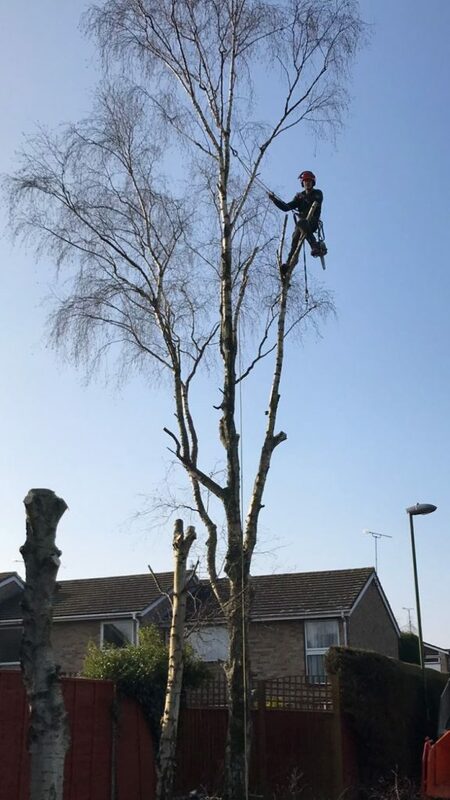 All of the members of the AG Tree Surgeons team are also qualified to NPTC standards and thanks to our extensive knowledge in tree care, and our large array of equipment is maintained on a regular basis, to ensure all work is carried out with the safety of the public, our team and the customer in mind. We carry all the correct insurance to carry out our work including full public liability cover up to £10m and employer liability insurance. We also offer full guarantees on all of our work. 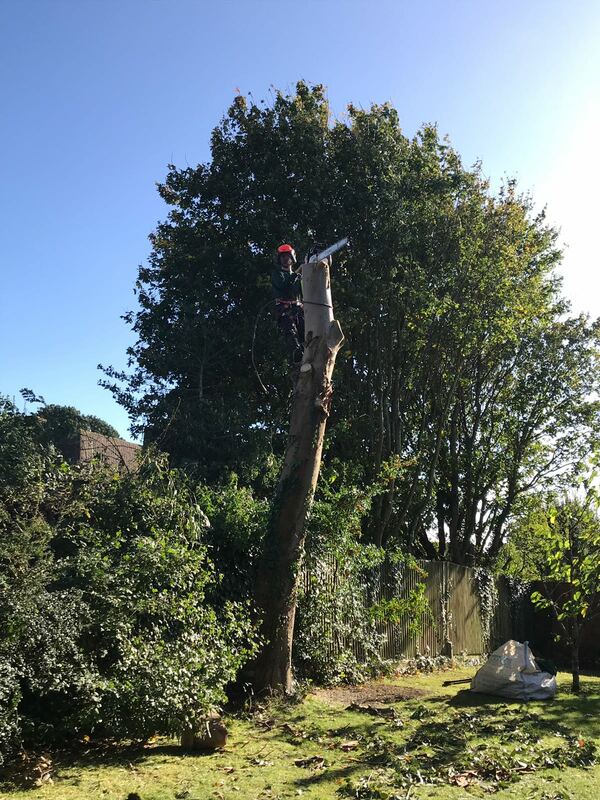 As you can see, AG Tree Surgeons are able to offer a professional, safe and high quality service. So if you require a quote for some work or would just like some advice. Please do not hesitate to get in touch using the information below. 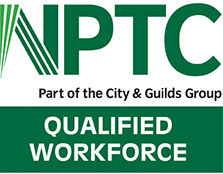 The National Proficiency Tests Council (NPTC) is the governing body for most tree surgery qualifications. 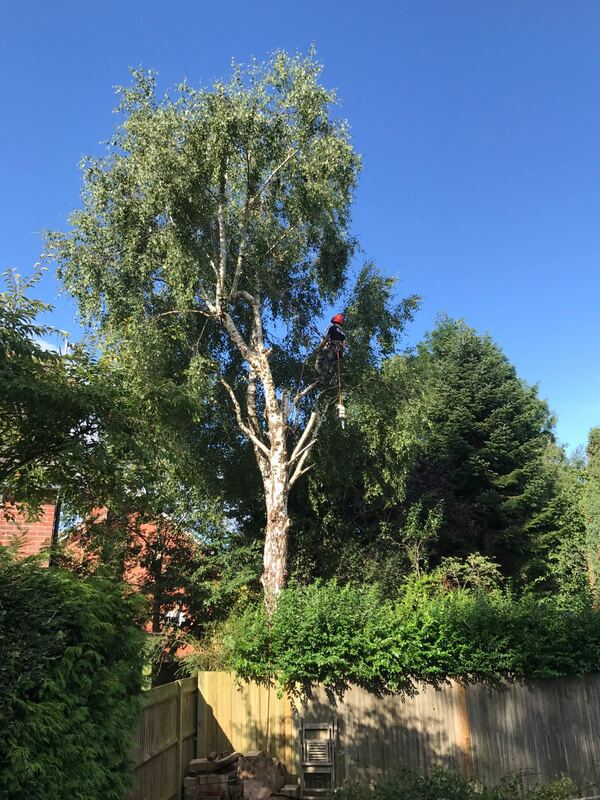 The minimum our tree surgeons will hold, are certificates in chainsaw maintenance and on-site prep, tree-felling, aerial rescue, correct harness use and first aid. Checkatrade have been vetting traders since 1998 and only allow the best tradespeople to become members. AG Tree Surgeons are proud members of Checkatrade and as such you can be sure that our craft is of the highest quality and that our staff are honest and reputable. CHAS (The Contractors Health and Safety Assessment Scheme) was created by experienced health and safety professionals in 1997 to improve health and safety standards across the UK. AG Tree Surgeons are members of this scheme and as such are certified to all the appropriate standards. I had Ashley over to attack our garden hedges and he did a fantastic job. They are all now neat and tidy and looking great. Thanks to AG Tree Surgeons, I now have a lot more sunlight in my garden after they removed a tree. They were extremely careful and professional throughout the entire job. Highly Recommend!